Are you fluent in AI? Fifteen years ago, there was a gap between digital journalists and non-digital journalists. In 2018 and the coming years, there will be another gap: between journalists that can speak to artificial intelligence and journalists who can’t. In a media landscape driven by algorithms that filter the news, by robots that can write some pieces of journalism, and by machines that can automatically translate any post, speaking fluently to AI could make the difference for a journalist. It’s not new for technology to be a determining factor for this profession’s evolution. It began with the rotary press, then with radio frequencies, followed by computer science, then by the network and the always-on connection, and now the omnipresence of data. Each innovation changed the way we discover news, so they also changed the way we produce news. Artificial intelligence will follow that same trend. As AI is “able to perform tasks normally requiring human intelligence” in newsrooms, says a useful report from the Tow Center — helping journalists to get rid of repetitive tasks and focus more on sourcing and reporting. Reuters designed a social monitoring tool, the Reuters News Tracer, which can identify events that are breaking on Twitter, analyzing millions of tweets with almost 80 percent accuracy. The Financial Times is about to launch a bot that will find the news the people of your industry is reading. But who’s behind most of the work being done in this space? Engineers, not journalists. Let’s hope journalists will soon be contributing at a higher rate. The good news is that journalists will not be all Uber-ised. Some will learn how to deal with AI and machine automatization, and they’ll become the empowered journalists of tomorrow. 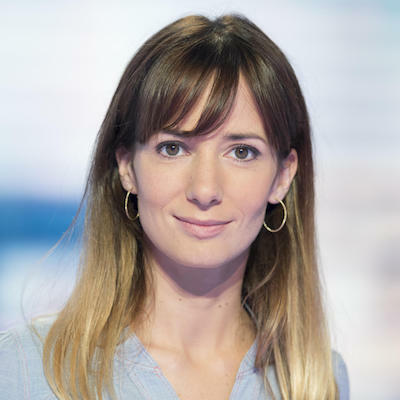 Alice Antheaume is executive dean at Sciences Po Journalism School.